Teatru Astra, established in 1968, has striven towards the promotion of theatre culture in Malta. It has presented operetta, opera and works of literary giants on its stage. Teatru Astra patrons have been exposed to world-class singers direct from the Metropolitan in New York, Teatro alla Scala and Sofia State Opera House among whom Ghena Dimitrova, Pamela Kucenic, Adelaide Negri, Joseph Calleja, Nicola Rossi-Lemeni, Aldo Protti, Mark Rucker and Rumen Doikov feature prominently. The BOV Group is a leading financial services provider in Malta, providing a full range of financial services including investment banking, private banking, fund management, bancassurance and stockbroking. Domestic operations include a national network of 41 branches, a Corporate Centre, 5 Business Centres and a Wealth Management arm. In addition to offering a range of traditional banking services, BOV is continuing to evolve its product portfolio to include new financial products. BOV also issues bank cards under the Visa, MasterCard and American Express brand names and offers Internet banking, customer service centre, telephone banking and mobile banking to its personal and corporate customers. For more information about Bankof Valletta visit www.bov.com. 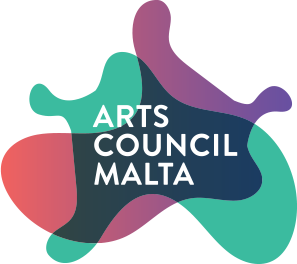 The Arts Council Malta (ACM) champions, develops and funds cultural events, activities and art forms - from theatre to dance, and from music, art and literature to photography and digital arts. We help individuals, groups and organisations further their creativity and excel, and share their work with a wider public.